Named after Hercules who is said to have discovered the plants medicinal uses, or after heracles, a plant dedicated to Hercules ( Umbelliferae). Cow parsnip. Vigorous and coarse-growing hardy perennials suitable for the wilder parts of the garden. Two species are natives of Great Britain. Species cultivated H. mantegazzianum, 7-9 feet, small white flowers in summer carried on enormous umbels, up to 4-i feet across, stems coarse and thick, ridged and bearing very large leaves, individually about 3 feet long, together making a tuft 10-12 feet across. H. villosum (syn. H. giganteum), cartwheel flower, 10-14 feet, white flowers carried in great flattened umbels, rough stout stems and enormous deeply cut leaves. Cultivation These plants thrive in any soil, but attain their best proportions in deeply-dug, manured ground. Plant in the autumn in the wild garden or on the margins of lakes and streams. 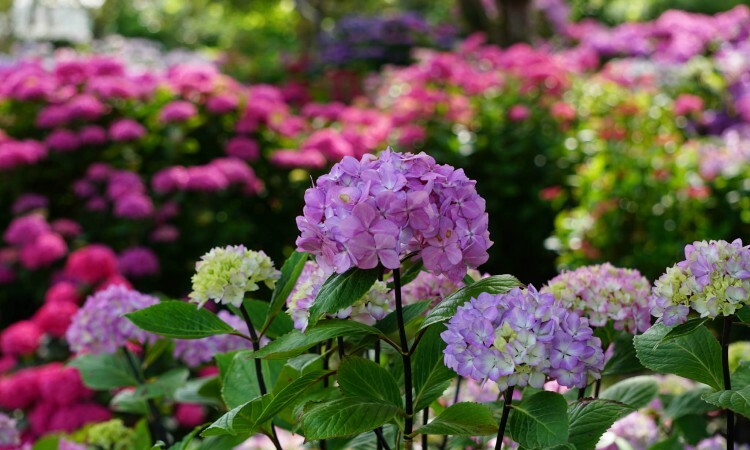 If they are required for foliage effect, remove the flowering shoots once they appear in June because better foliage is produced if the plant is prevented from flowering. Propagation is from seed sown in March out of doors or from division of established plants in either October or March.